Hey, Bookworms! It's been a while since I participated in TTT, but I wanted to join in this week! With summer right around the corner, I thought it would be fun to share my most favorite covers that make me think of SUMMER!! 1. 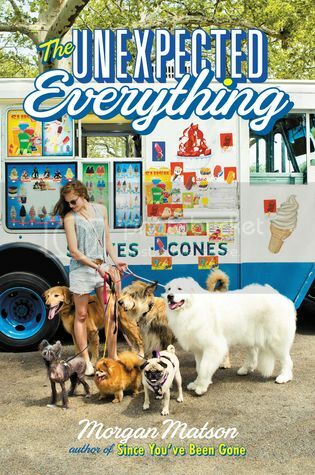 The Unexpected Everything by Morgan Matson - Of course I'm going to have this Morgan Matson book as my first pick. Look at that cover. It SCREAMS summer. I love it! 2. 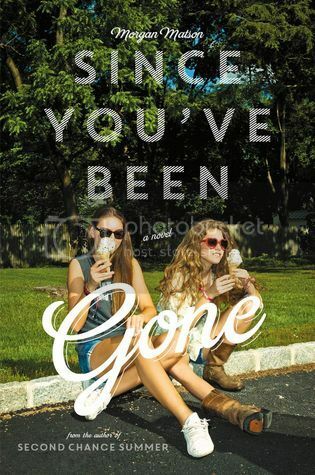 Since You've Been Gone by Morgan Matson - Yep another Morgan Matson book on my list, and, spoiler, it's not my last! 4. 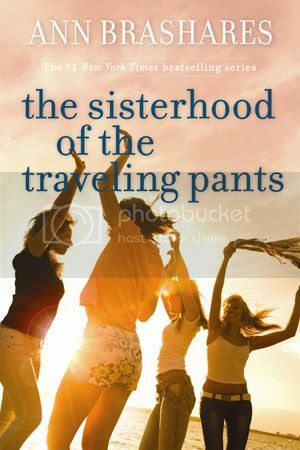 The Sisterhood of the Traveling Pants by Ann Brashares - I actually own the books with a different cover on them, but I love how this cover makes me think of Summer! 5. 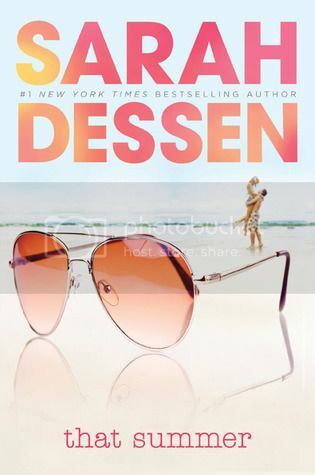 That Summer by Sarah Dessen - I love this cover! The couple on the beach. The glasses. I love the Summer feel to it. 6. 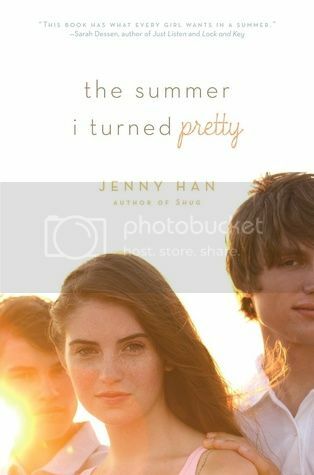 The Summer I Turned Pretty by Jenny Han - Again, I love how this cover makes me think of Summer. I think it's the sun in the background. I love it! 7. 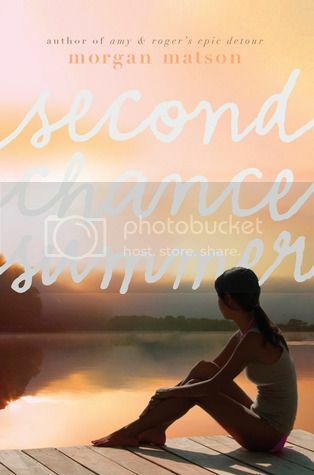 Second Chance Summer by Morgan Matson - I told you there would be more Morgan Matson on this list! I love this Summer-y cover! I've not yet read this book, but it's on my summer TBR! 8. 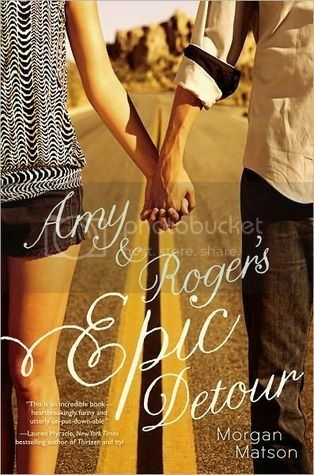 Amy & Roger's Epic Detour by Morgan Matson - Last one by MM, I promise! I've not read this one yet either, but it definitely makes me think of Summer as well. 9. Anna and the French Kiss by Stephanie Perkins - I know everyone is used to the new covers for this series, but I LOVE this cover! It totally makes me think of Summer in Paris. Ahhhh. 10. 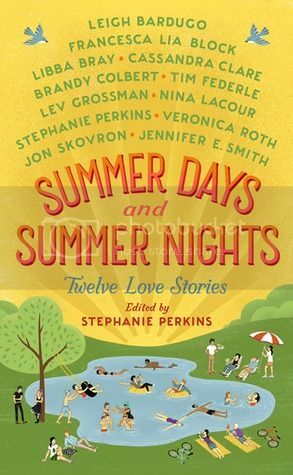 Summer Days and Summer Nights by Stephanie Perkins - And another by Stephanie! I read her Holiday book of stories, but I've not yet read this one. It's definitely on my TBR for this Summer. There you have it, friends! A list of covers that scream SUMMER! but because the kiddos will be out of school. One more month! Leave a link to your post so I can check out your covers for this week! Cute picks!! All new to me ones in a sense! Not too many paranormals with a summer theme! LOL! More sun on those covers than I've seen yet this spring! Makes me eager for summer. Morgan Matson is so the queen of summer covers - love them all! So many awesome covers on here! I love Open Road Summer, Second Chance Summer, and That Summer. Have you seen the new covers for Jenny Han's Summer series? I love them! Great list, Christy! I love summery covers! Some of these are my favorites. Morgan Matson has the best covers. Great topic choice and I love the covers you selected. They are so much fun (aside from Second Chance Summer, which = all the tears. 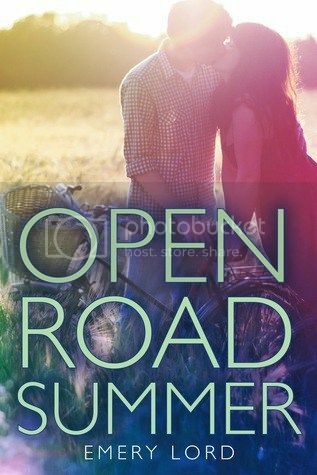 Open Road Summer is a fun summery cover.